Emirates will continue to maintain its route-sharing arrangement with Flydubai to Zagreb into next year. The Gulf's largest airline resumed operations between Dubai and the Croatian capital on Sunday following a five-month hiatus, during which the service was run by its partner Flydubai. Emirates has noted it will continue to maintain flights to the Croatian capital on a seasonal summer basis until October 26, after which Flydubai will once again take over for the winter. "The strategic partnership between both airlines ensures capacity is deployed to best serve customer demand", Emirates said in a statement. Both airlines mutually codeshare on each others' Zagreb service. 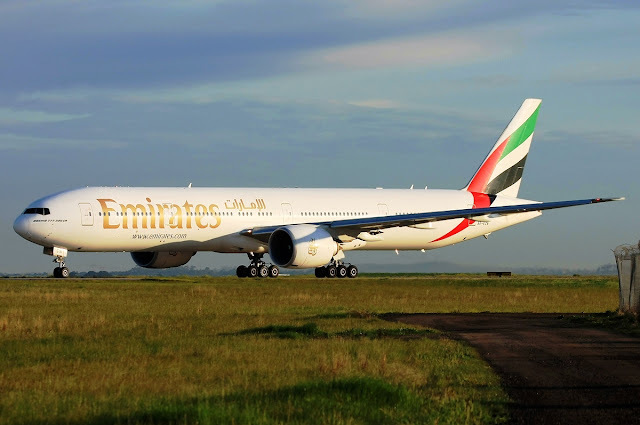 Emirates’ daily flights to Zagreb will operate in a three class configuration this summer on board the Boeing B777-300ER, featuring eight lie-flat seats in first class, 42 seats in business class and the remaining 304 economy class. Due to the planned upgrade works on the southern runway at Dubai Airport, from April 16 until May 30, the service will operate four times per week - on Monday, Tuesday, Thursday and Saturday. From May 31 onwards, the route will be run as a daily service. Over the winter months, Flydubai maintained daily operations to Zagreb with its 166-seat Boeing 737 MAX 8 aircraft. The hybrid carrier noted that the partnership has allowed Emirates to better cope with the traditional drop in demand over the winter while reiterating that Croatia "remains an important market for Flydubai", as it also maintains seasonal summer flights to Dubrovnik. Emirates' President, Tim Clark, noted that seasonal route swaps, such as the case with Zagreb, could become more common in the future, opening prospects for other markets in the former Yugoslavia as well. “Focusing the network according to two carriers playing their role is working well. We haven’t finished that exercise by any stretch of the imagination”, Mr Clark said. Despite the majority of passengers on the Dubai - Zagreb service transferring from other far-away destinations, the Croatian National Tourist Board is looking to contribute to the route by generating greater interest for point to point travel. "The Croatian National Tourist Board wants to create greater awareness of Croatia's unique attractions and offerings as a leisure and business travel destination for visitors from the United Arab Emirates", Karla Bronobić Vojvodić from the Board said. She added, "As part of our ongoing efforts to reach out, broaden and strengthen our connections with the UAE, we are seeking to develop new joint business opportunities, the creation of new holiday packages for UAE residents, and, going forward, increased visits from the market to Croatia". I was hoping they would go back to year round. Too much capacity over winter. Maybe in time the route will build and it can be sustained with a widebody year-round. I'm surprised there isn't enough cargo at least to keep Emirates over winter. Cargo goes tho whoever the shipper decides to (much of the time the cheapest alternative). And if they decide with EK, it gets rerouted to VCE or BUD like it did this year. So they don't lose cargo even if they don't have a plane in ZAG. Good. There is simply no need for a big B777 in winter. Correct, 354 seat airplane during Winter is overkill. When this route was announced I said it was an overkill but people attacked me and said I was a jealous hater. kako ono beše? "veliki iskorak"
To i jest veliki iskorak i dalje. Ogroman! Koji još uvijek nitko u regiji nije dostigao. 7 tjednih letova Emiratesa 7 mjeseci sezone i 7 tjednih letova flyDubaia ostalih 5 mjeseci zime je ogroman iskorak. A uz to Zagreb ima još i Korean cijele godine 3 leta, te u top sezoni 7 tjednih letova preka Torontu. Air Serbia primjerice ima daleko manji avion i tek 3-6 tjednih letova u ljetnom redu letenja i 2-3 tjedna leta zimi. Dubrovnik tek 3 tjedna leta 4 mjeseca sezone. Ljubljana tek pokoji let ANA-e.
Is there any chance Flydubai may include Split in its network in the future? I hope so. Flydubai should really consider starting Split as well seasonally during the summer. There is no need or interest for Flydubai at SPU. The focus is on EU flights. Why is there no need for flights in Split? The focus is on EU flights from Dubrovnik as well but they still have FZ. SPU area is focused on lower class tourists from EU. There are much less higher class hotels in Split area compared to Dubrovnik. I hope you don't think that 4**** hotel tourists do come with bus, train or car. I think this is actually a really smart move by EK/FZ and I hope we see more destinations in ex-Yu shared like this between the two airlines. Does anyone know how many passengers EK handled to/from ZAG last year? Don't know about last year but in 2017 for 6 months they flew it was 98,301. Good news. I'm glad they are back. I actually thought they might not return in the end. But I'm happy to see them continuing the same arrangement as last year. I think this is the first route in Emirates' history that is operating seasonally with their equipment. They have few destinations they are done in such way, however Zagreb is only European destination so far. There are none. Not in Europe, not elsewhere. They fly seasonally only to Zagreb. It's correct. Currently, all of the other routes in their network are year-round, which doesn't mean it will stay that way. What are the fares like on EK from Zagreb this summer? Are they competitive compared to QR and TK? I remember getting newsletters with fares of €399 to Dubai, but this year they've dropped them to €349. That's quite good. Do you maybe know which destinations they promoting from Zagreb with the fares? I mean which far away destinations? Not sure, but earlier this year Dubai was promoted for as low as €299, in addition to Shanghai for €529, Beijing €559, Bangkok €569 and Singapore for €689. Great, thanks. I assume these are the routes people are connecting to the most from ZAG. Those fares are great for consumers. Very competitive against QR and TK. Seems like a logical choice for FZ to take the winter months again with a smaller B737. Once EK gets the A330-900 neo in 2021, they will probably take over the Zagreb route completely. What will be the capacity of these planes? I don't know what it will be like on Emirates but TAP for example has 298 seats on theirs. Thanks. That's still quite a lot of seats. Hey, you forgot the A350. They also ordered 30 of those. Maybe EK will have less economy and more business and deploy it to ZAG. It will probably be lower capacity on EK. As far as I'm aware TAP has business, premium economy and economy on the A330-900. I remember EK saying they will also introduce premium economy. There are downsides to this arrangement. Hopefully these measures from the tourist board bring some results. Perhaps when they get A330neo, they can use it for winter season. Emirates fleet is so inflexible. I can't believe the airline brought itself to have only A380s and B777s. Better planning was needed and the B787 can't come soon enough. They are very lucky Flydubai is around to help. When do the Dreamliners start arriving? Google Emirates 787 and you will see many articles indicating that they are highly unlikely to order it. I think the best aircraft for EK is currently the A350. It seems to be a very good one as all Asian carriers are extremely pleased with it, especially SQ. Not to mention that ET ordered Airbus for the very first time in its history similar to ANA. A330neo seems the most logical aircraft for ZAG during the summer depending on how many seats it will have. I find EK's move quite logical. It's very difficult to maintain a high LF or sell a bigger jet everyday for a regional airport making 3 million. I mean even EK don't even fly to OTP which has 4 times bigger traffic. That said, it would be logical also for W6 to try a 2 weekly DWC though I think Croatians use Dubai as a transfer destination and not O&D. I can't blame them. Dubai city is just a plastic and artificial city with no authentic sense compared to other Arab cities e.g. Beyrouth & Cairo. W6 have been flying to DWC since 2013 and only IEV was suspended. All the rest of the destinations remain in tact. Dubai is a popular winter destination but not for Croatians I guess. Just because W6 does not fly to DWC it doesn't mean that Dubai isnt a popular winter destination- why would you fly with W6 to an airport in the middle of nowhere when you can fly for an affordable price with FZ and land at DXB? Err price maybe? OW fares with W6 sometimes are 150€ and not 450€ RT compared to FZ. I hope Emirates considers other ex-Yu markets. This cooperation with Flydubai gives them the chance to make these work on a year round basis. Me too. I think there is a chance for Belgrade and Sarajevo to be operated this way too. SJJ doesn't have enough apron space to handle a B777. Why doesn't Croatia Airlines codeshare on the Zagreb - Dubai flights? Because they would probably have to get approval from Lufthansa which would be difficult. Why would they need Lufthansa's approval? It would be a bit difficult for them in Belgrade in summer with daily Qatar and double daily Etihad. Unfortunately, SJJ is out of the game for EK due to airport capabilities. Could Korean Air's flights have had an impact on Emirates? It's possible. Especially in low season when lots of Koreans travel. Besides it was reported here a few months ago that Korean said they have managed to attract passengers which used to fly with other airlines and that Korean generally prefer flying with their own carriers. Given their current financial situation, similar to EY, I don't know how those guys from EK think. Ordering so many planes was a huge mistake. They thought the rest of the carriers will remain passive and they were wrong. QR is much smarter when it comes to picking its fleet and destinations. Their CEO is a really, smart ba*tard. The A320 really helped QR a lot. It is the perfect aircraft given their geographical position. It has a range that can take them all the way up to HEL and all the way down to ZNZ. It was a huge mistake for EK not to diversify in the fleet size. With EK, EY, FZ and G9 around, the UAE seat bubble will burst sooner or later. Completely agree. Emirates simply needs smaller aircraft. I'm not talking about Zagreb here, I'm talking generally about the company. Withdrawing all A330s and leaving just B777s and A380s wasn't the wisest of ideas. They should have sucked it up and kept it over winter, especially against double daily flights from Qatar Airways. It's becoming very competitive on the market from the Gulf to Croatia. It's great to see they are keeping the route daily in summer. Does somebody know something about average LF on EK flights to Zagreb? Tnx. As expected summer is no problem. A lot of people are visiting beautiful Croatia and going on holiday. Winter on the other hand is much tougher. It's normal to reduce frequencies during the winter. Still think EK should extend its ZAG flights to JFK. Why? They already have those from Milan and Athens. Because it would be a success. Emirates should have considered Dubai-Zagreb-Newark flights (like what they are doing in Athens). Would have been a win for both sides. Greece and Italy to the US is far, far bigger markets than HR. LF is one thing, yields another. I already wrote it here, but I do it again : No one is comparing ZAG with ATH or MXP. The fact is that Athens and Milan have some 5 operators each to the US while ZAG has none and the numbers of passengers are well over 2000000, and it is the gap which EK could fill. Not saying happening but possibility, yes, of course. Yields : Of all ex-yu airports ZAG is the one with best yields which is proved by profile of the carriers operating from/to ZAG. As far as I know EK has no issue with yields in ZAG during summer, and type of US tourists, NATO bonds and some business ties should make yields strong on potential US flights as well. If EK was to start DXB-ZAG-JFK flights I'm sure they could get more Indians fly the route. They could offer some 24 hour stop over program in Zagreb through Emirates Holidays. EK already flies 5 daily to JFK and once daily to EWR. I think they have more than enough capacity on the NYC market. "Greece and Italy to the US is far, far bigger markets than HR. You are comparing apples and oranges here." Actually that is not accurate, Italy is, Greece isn't. More US Visitors visited Croatia than Greece in 2018. Croatia had 587 000 US Visitors, Greece 569 000. So both countries are about the same right now, but not for long, Croatia expects 700 000 US visitors this year, Greece would be lucky to get 600 000. Greece is popular, but Italy, France, Spain, UK, Ireland, Germany, The Netherlands, Austria, Switzerland, add Croatia to this list are now more popular. How many flights did EK operate to Prague and Budapest when they started these routes? Both were daily and PRG was soon upgraded to an A380 due to demand. How can you say "soon" as it took them 5 years to upgrade to the 380. EK had an advantage back then since it launched routes like Prague initially with much more suitable A330. There is a strong possibility that EK and Fly dubai will be merged next year. Problem of ex-Yu market would be solved that way. There is also a possibility that Emirates and Etihad will merge. Love seeing Emirates' B777 in Zagreb. Wish them good luck for the future. Its not a deal, FZ is just a narrowbody ops subsidiary of EK, its just an in-house decision. Flydubai is NOT an Emirates subsidiary. Does EK use 1 or 2 jet bridges at Zagreb for boarding/deplaneing? Cool, will book this flight from Sydney in August. I think Emirates was aware that they would take a hit on the route in winter, and that will happen during the first few years before the route builds up and can generate money year round. So this is an expected decision. What are the reasons EK is not flying to SOF, SKG, BEG, OTP? Easy. Local market can not sustain EK, Croatia is helped by the massive tourist industry raising the loads. Zagreb does better marketing, it is considered the economical and cultural centre of what once was the former Yugoslavia. EU-Membership helps a lot. Of course if you look closer it is not that rosy but perception is everything. No, my perception is that twice daily QR A321 and twice daily FZ 737, plus enough TK and SU seats would do the job for ME/Asia/ANZ summer connections from ZAG. Someone with extra cash probably wants to see EK instead as it would appear more "prestige". That is why membership in EU is so important for Croatia - because you can sugarcoat Zagreb better and make Emirates think Zagreb would be more prestigious than other destinations nearby. Perception is a marketing trick, it is manipulation of prejudices strangers have about something, some place they actually dont have any clue of. So you have to give big credit to all those people who tricked Emirates in starting this flight. I know Croatia very good, my wife is from there but we agree both in that Croatias "business model" is to paint a lot of shiny colour over rusty old surfaces and that they are really succesful in it ! So, dumb Emirates got blinded by the shinny wrapper called EU when it comes to Zagreb? Mike, OTP and SOF are also in the EU but they don't see investment in marketing with Emirates as a good deal for their countries. They focus more on increasing services to EU destinations esp with lowcosters. SKG is also in the EU, bigger airport than ZAG and unlike ZAG right on the coast, with short drive to beaches and resorts. They are focused more on increasing EU tourists and not on EK. I am not convinced ZAG effort with couple of prestige airlines is better than bringing tourists with 10 new Ryanair and 10 new Easyjet routes from EU cities. Coastal airports like ZAD are smarter. I agree with you 00:52 .